She is a veteran of more than 20 years in the civilian space program, as well as various military space defense programs, she worked on numerous space shuttle flights and the International Space Station, and counts the training of astronauts on her resumé. Her space experience also includes Spacelab and ISS operations, variable star astrophysics, Martian aeolian geophysics (wind-generated geologic processes), radiation physics, and the effects nuclear, biological, and chemical weapons. 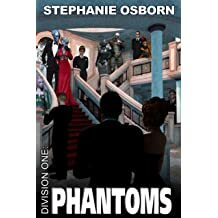 Now retired from space work, Stephanie has trained her sights on writing. 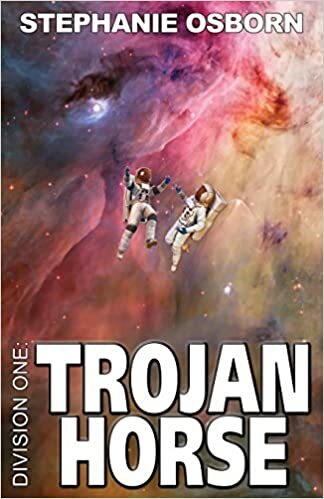 She has authored, co-authored, or contributed to some 40 books, including the celebrated science-fiction mystery, Burnout: The mystery of Space Shuttle STS-281, and is co-author of the Cresperian Saga book series. She has written the critically acclaimed Displaced Detective Series, described as “Sherlock Holmes meets The X-Files,” and its pulp-bestselling prequel series, Gentleman Aegis, the very first book of which won a Silver Falchion award. She has also dabbled in paranormal/horror releasing the ebook novella El Vengador, based on a true story. Her recent popular science book, Rock and Roll, a discussion of the New Madrid fault and its historic quakes, was a multiple-genre bestseller! 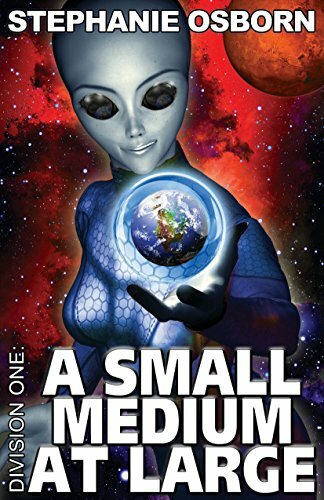 Currently she’s launching into the unknown with the Division One series, her take on the urban legend of the people who show up at UFO sightings, alien abductions, etc. to make things…disappear. Stephanie likes to travel but sadly, she doesn’t do so much, because she’s handicapped now. Despite multiple efforts, she has yet to make it out of the United States; every time she tries, something happens that makes it necessary to cancel the trip, which is quite frustrating for her. She has a cat called Elrond Half-Siamese. He chose her when she and her husband visited the fostering home. He came out of another room, spotted them, let out a tiny yowl, and ran as fast as those stubby little legs would take him. He ran clear across the room, right up and over the couch where she was standing. Without even slowing he landed in her arms, whereupon he settled in and started purring. She turned to her husband and said, “Honey, we have a cat.” When he’s happy and excited, he arches his tail up and over his back like a tea-kettle handle; when he was a kitten and the proportions were different, the tip actually touched the back of his head. Has Alpha One been played? At long last, Echo and Omega are going on their first real date, and Echo pulls out all the stops. But when he introduces Omega to a Broadway star, they find art imitating life, as a dangerous nonhuman entity plagues the theater. 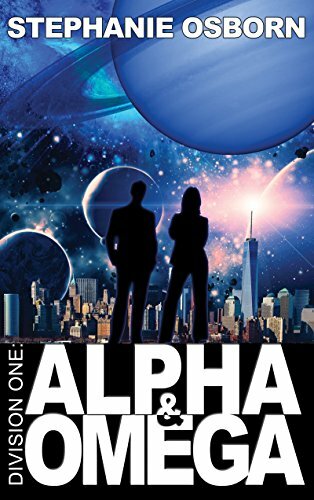 Alpha One goes undercover to bring to light what’s really happening. But is the entity after the show’s leads…or have Echo and Omega been played? OTHER BOOKS IN THE DIVISION ONE Series. Today’s author is an extraordinary woman. I’m awed by her to be honest. Her education and career are mind-blowing, and now she is a prolific and successful writer. She shows her fun-side by some of her activities, for example, her cat, and the photo that goes with this profile, which was her Halloween costume. 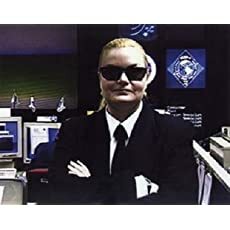 It was made in the payload ops control center for the Shuttle program, where she was working as a flight controller on the STS-87 mission, and it occurred over Halloween, so she did a costume that would still be appropriate to the work environment. 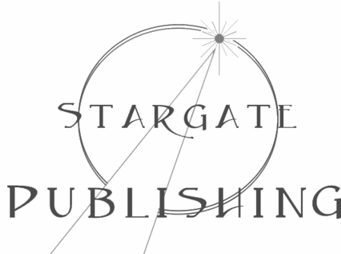 One of the things that has come to mind as a result of profiling so many authors is, what exactly do readers want to know about their authors? I think most of them are interested in personal information more than anything. The number one consideration when we authors write our bios is to show who we really are. Readers want to see the person behind the story. Where are we from? What have we done? How did we become writers? Where do we live? What do we do besides writing? I know that I like to find out about idiosyncrasies and interesting experiences, their families, pets, and so on. I became a writer because I love books and failed at painting, my primary choice of artistic expression. I was born and grew up in England. I’ve lived all over Canada from Newfoundland to the west coast and have finally settled in British Columbia. I’ve also lived in California, and Mexico. I am the eldest of seven children and was a terrible bully with my siblings. I was married once, a long time ago, and have three sons and a daughter. I now live with my “significant other”. Besides writing novels and blogs, I design websites and sometimes book covers. I enjoy tending a tiny garden on my balcony, and read a lot. I find exercise boring, unless there’s a purpose or goal involved. I have a hearing defect called hyperacusis, which is an intolerance to usual environmental sounds. Certain sounds are magnified and distorted, which makes them unbearable and can sometimes make me lose control and yell at the culprit. Car horns and loud radios and TVs are the two most unbearable. I’ll take a hearty thunderstorm any day. The first person I profiled was a remarkable English woman called Tracy N Traynor, who overcame incredible odds to become a successful author. Her story is an inspiration to everyone who knows her, an example of what a person can do—with faith and determination—to reach her goals. Thank you, Vicki! Very cool! The holiday season has begun!